On Saturday morning I was off to Panshanger parkrun. It was so dark when I got up and the sky was glowing in all sorts of beautiful colours. In getting out my 100 top I was sad to see that the second zero was getting a few cracks on it. It was my 180th parkrun so it’s got to last quite a few more! The parking at Panshanger is very busy now, so I tend to get there early, and I decided that I’d run out a bit for a nice warm up. 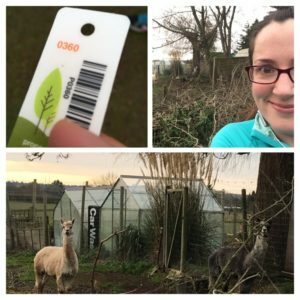 I ran past the llama field and was very excited to see the llamas in there- the last time I saw them I think was on Christmas day last year (I think I made a fa la llama joke about it?) and I’ve run past the field plenty of times since then and not seen them. (My terrible attempt at getting a selfie with a llama in the background- I just can’t work out how to turn the phone to actually get what I want to be there!). After seeing them it was time to head back to the park as the parkrun would be starting soon. The car park (where people start- you can’t park there) was packed- I suppose lots of people are starting a healthkick in January so perhaps the events have a bit of a boost in numbers? I was just going for a steady run so started fairly far back, meaning that I had to stop and start a bit as the course is fairly narrow at the start. I enjoyed the run- it’s such beautiful scenery there. I kept being overtaken by the same man pushing a running buggy, but I never noticed when I ran past him so it kept confusing me each time he overtook me! I finished with token number 360 which greatly pleased me as 180 x2 = 360 so there must be some sort of fun with the numbers (someone on the With me Now page pointed out that it could be total number of runs x number of llamas = finish token) although when the results came through I was number 260. I had to double and triple check my photo, and it was 360, so there must have been a bit of a mix up with the tokens. Just under 400 runners (398), with Ellenbrook Fields (which is usually around half that size) getting a new attendance record of 346. I did a little cool down before getting in the car (how long will this last?- probably until I can’t remember that my knee was sore…) and quickly heading home as my brother was coming over for breakfast. He was invited to parkrun but was playing football in the afternoon (and he doesn’t usually do both on one day). 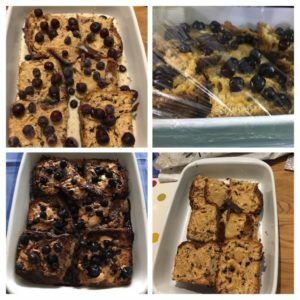 I’d prepped the baked French toast again, this time with a chocolate panettone (another Christmas gift), and cherries as well as blueberries. I didn’t add any sugar to the egg mix this time as the panettone is already very sweet, and I think that worked better. Andy had put it in the oven so when I got home I had time to change, make tea and then a warm breakfast was ready. In the afternoon we walked into town, mainly to get my free Starbucks drink plus some bits for dinner, and then did a bit more sorting out at home (tackling my office is less enjoyable than sorting clothes because you find all sorts of things like old phone cases that you don’t really know what to do with but don’t need, but probably can’t sell/give to a charity shop either). It’s done now though. 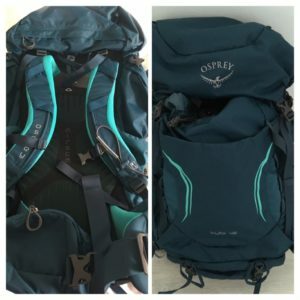 Recently I was sent the Kyte 36 bag from Osprey. I was originally looking for a bag to take on the plane with me when we go away for the weekend, and as there was a 36 and a 46 I thought it would be small… Of course I just looked at the measurements and thought “that seems about right” without looking at a tape measure or anything. So, it didn’t come to Berlin with me as I like a rucksack that is guaranteed to be hand luggage (so can fit under the seat in front). However, for a weekend away in this country it’s great. I love the colour first of all. As well as shoulder straps it has hip straps (it’s really meant for hiking)- this took me back to my DofE days when you had to do an expedition (basically walk many miles to a camp site carrying all the camping gear, camp one night and then go home)- the hip straps were an absolute saviour as the weight went into your legs and not your back. It’s also fitted specifically for women. It’s hard to see but the hip strap also has two small pockets at the front/side so you could have things like your phone, wallet, keys, lip balm etc. handy without needing to take the pack off. 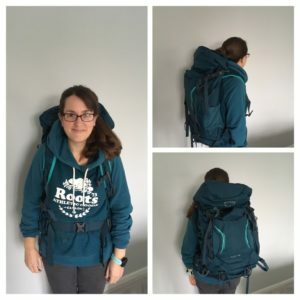 This is one of my favourite features as often I end up wearing a small handbag under the rucksack to keep those things handy, whereas I don’t need to do that with this bag as it’s all to hand. Inside it has a separate sleeping bag compartment (good for running kit and shoes also) and as it has side compression straps so that when it isn’t full you can pull the straps to make it more compact. All in all a good bag for a running weekend away as there is loads of space for running kit and shoes as well as the regular weekend things. Have your local parkruns been busier than usual? Do you have any unusual animals in fields near you? What type of bag do you usually use for a weekend away? I used to have a holdall but converted to a rucksack after we started getting the train down to Brighton a lot as lugging a holdall around is so much harder than wearing a rucksack. *I was sent the bag to review, but as always all opinions are my own. 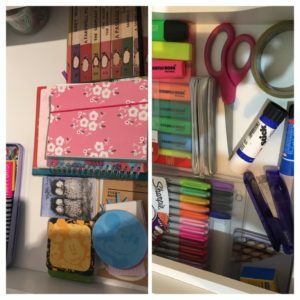 Author Maria RunsPosted on January 16, 2019 Categories General ramblings, Running, Stuff I love! Reading was so busy last weekend! Apparently a 100 or so more than usual. And I think that was similar at Netley too. Makes sense I guess, the equivalent (and cheaper!) version of people suddenly going to the gym in January. I love panettone. It’s so tasty and easy to eat a lot of I find (dangerous really) because it’s not crazy sweet and very breadlike. Mmm. We had nearly 1300 at Southampton last sat. For the first time funnel managing felt like a chore rather than a pleasure. The uni students were back plus a lot of new year resolutions still holding! Wow that’s a huge number! I think that’s how many were at Bushy when I went there (I think Southampton was maybe 800 when I did that a few years ago?). Funnel managing for that many people must be really hard work- well done! Lots of the Scottish parkruns have been at, or close to, attendance records recently. 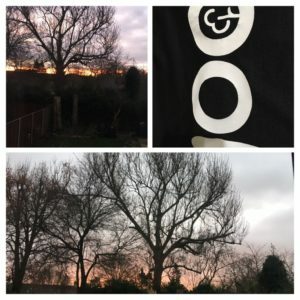 I get the feeling from the stats on With Me Now that there have been loads of people joining the parkrun community this year.it will be interesting to see if it continues.